German Auto News is a community-based Web site that allows enthusiasts of high-end German luxury and performance vehicles to keep up to date with the latest information from the manufacturers, as well as aftermarket and high-performance companies. Matt McCarron has a B.A. in Journalism from the University of Massachusetts Amherst, with a minor in film studies. In the past three years Matt has had work published in such publications as The Boston Globe, The Eagle-Tribune and the BMW Car Club of America’s Roundel magazine, among others. He began his career in the summer of 2009 when interned at The Eagle-Tribune, a daily regional newspaper. While there he learned next skills in the areas of writing and interviewing, and learned what it’s like to work and produce in a real-world environment. For the past three years Matt has traveled to the New York International Auto Show to cover debuts and new releases. While there he filmed his own videos and posted them on the Internet. He has also covered the Hemmings Motor News New England Concours and the Connecticut International Auto Show and various motorsports events throughout the Northeast. 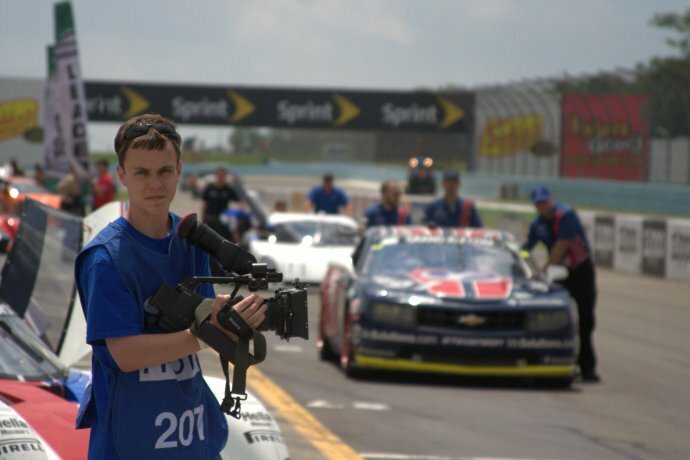 In addition to his independent projects Matt has also worked for Veloz Media, a professional media company specializing in motorsport and corporate productions. He has covered the Rolex Sports Car Series at Watkins Glen International in New York and Lime Rock Park in Connecticut. If you would like to contact Matt for a story, video piece or feature please contact the email address listed below.